Motorized surf board are great helpers especially for newbie wave riders. No longer do you have to worry about your paddling skills or your ability to catch waves, with Jetsurf, you get to show the ocean who’s boss! Jetsurf is the brainchild of Martin Sula. 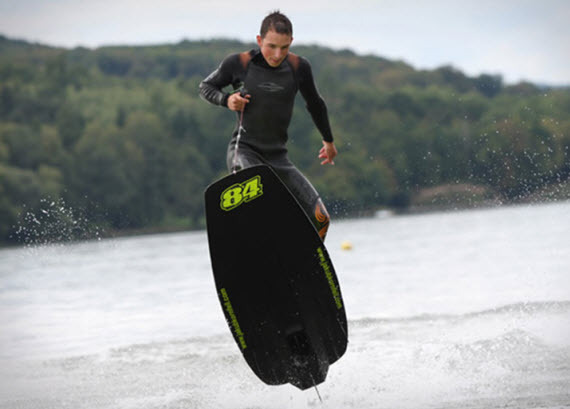 The motorized board smoothly combines surfing and skiing. This synthesis has created a whole new way of enjoying waves at high speeds. Weighing only about 30 pounds, Jetsurf is truly a light weight machine. On water, it is capable of reaching speeds of about 35 mph. According to the company, it is quite portable, allowing you to carry it as part of your personal luggage during your travels. 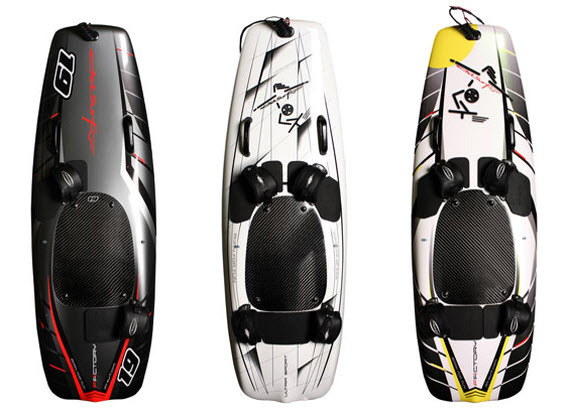 There are three models available; Pro Race, Ultra Sport and Factory. Their designs are quite similar possessing Kevlar construction and carbon fiber including an electronic leash which has a dual function as the throttle and the emergency kill cord. 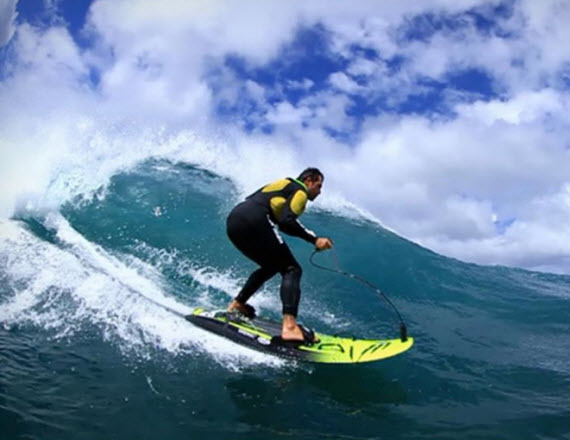 For regular surfers, the Ultra Sport is the ideal model; having a base speed of 30 mph. The Factory pushes the speed bar to 34 mph, great for intermediary surfers. The Pro Race like the name implies was built for the professionals, it boasts of a maximum speed of 35 mph alongside a special sport carbon carburetor. Go Surf the Amazing Lightweight Motorized Surfboard.